When Temple of Malice enters the battlefield, scry 1. Turn One: Exile Simian Spirit Guide , cast Faithless Looting , discard Protean Hulk and any card not in the list above (note one or two of those cards can be found off Faithless Looting meaning you essentially have 9 looks), play the swamp, exile the two other Guides and cast Footsteps of the Goryo , win at end step. That is very improbable, but it could happen, and the addition of Guide really would speed up your cloak, regardless if you take it to B/R or not. I also wouldn't play the full playset of Fatal Push , instead I would diversify, likely with 1-2 Fatal Push in the sideboard and only 1-2 copies of Collective Brutality in the main simply because it can discard Protean Hulk (I realize this card is expensive though so it is only a suggestion for if you decide to invest in this deck; the same can be said for some of the other cards I will suggest; if you want budget alternatives I'm more than happy to start digging around to see what I can come up with). Filling out the deck, I think I want doubles of most of the combo creatures as I would hate to draw them, though that doesn't feel optimal and I would have to test to see, and maybe some form of protection. As you are winning the turn you play Protean Hulk perhaps Pact of Negation , its fast, free, and versatile. The land also needs a good amount of work. No matter what you do I firmly believe you want at least 3 scry lands, whether that be Temple of Deceit or Temple of Malice depending on the direction you go, ideally a playset of fetches as well for the marginal advantage of deck thinning. I would also encourage playing both Gemstone Caverns here, as the math with that luck counter could be interesting, and Gemstone Mine as if your opponent plays a Leyline of the Void you are functionally dead, to get around this, in addition to hate in the sideboard, it would be advantageous to actually be able to cast your cards, I mean, a 6/6 is a 6/6, it can win games in desperation. As for your sideboard, I think you want a healthy mix of hate and protection; on the side of protection I would consider Pact of Negation , Silence , Chalice of the Void (turns off opposing hate and with a diverse cantrip base built around two-cost spells, is amazing against Phoenix). The other half of the sideboard I would devote to staying alive and more general hate: cards like Lightning Axe , Kozilek's Return , Bontu's Last Reckoning , Engineered Explosives , Blood Moon , and Shatterstorm . I really like what you've done here, and I vote you build this deck. I can tell that, despite not having played very long, you've done your research. Haven't even seen Balduvian Warlord in a list yet, and it's some great tech. Plus you're running my favorite black card in EDH, Syphon Mind! Such value. As for what to add, I think you could use another sac outlet or two for when Xantcha comes back to you after a player dies. Phyrexian Tower is a good investment. It only recently went from like $60 to $10 from the reprint, and I don't see it being reprinted any time soon. Some other good cards to encourage combat and keep yourself protected are Koskun Falls , since it's the only Ghostly Prison in BR. No Mercy is a great deterrent, as well. Also, Maddening Imp is fun tech, but you can force combat more broadly with Angel's Trumpet , Fumiko the Lowblood , Goblin Spymaster , and Warmonger Hellkite . As for helping Xantcha hit the mark, Cover of Darkness is excellent. Gotta love the old tribal cards that affect other player's creatures, and you're unlikely to get much splash effect from naming "Minion." 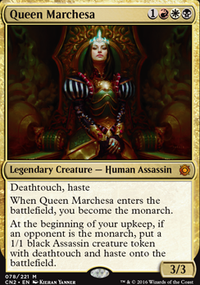 Although, if you want to capitalize on it, Chainer, Dementia Master , Sleeper Agent (the OG Xantcha), and Phage the Untouchable could all play well into what you're doing. Chainer for the abundance of dying creatures. Agent, since no one will want to block it and for that sweet, sweet flavor. Phage, since no blockers should be a goal in your deck. Either way, Cover of Darkness should replace Whispersilk Cloak , since you can't equip creatures you don't control. Shizo, Death's Storehouse could also be good. I think you could use a little more mana fixing, as well. Blood Crypt is unlikely to ever get cheaper than it is now. Temple of Malice is nice, and if you find yourself leaning black, Tainted Peak could be a good include, as well. 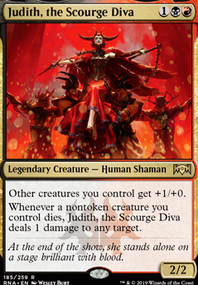 Also, Rakdos Signet seems like a given. 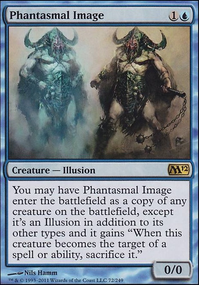 As for cuts, I don't think Hissing Miasma is that great. Koskun Falls and No Mercy are much better deterrents. Shizo, Death's Storehouse is more mana-efficient than Rogue's Passage , and makes black mana, to boot. The Haunt of Hightower just seems too slow to be worth the cost if you're not building around it. Words of Waste seems like a loosing battle, since you'll need to be paying 3 mana to draw with Xantcha and activate the ability, so for every two times you combo, you're paying 6 mana and putting your opponents down 2 cards each and drawing 0 cards. For that 6 mana, you could just draw three cards, instead. Hi! Some ideas. Lands: Temple of Malice , Path of Ancestry . Artifacts: Rings of Brighthearth or Illusionist's Bracers ( Olivia Voldaren likes it for sure). Card advantage: Champion of Dusk , Twilight Prophet + Doom Whisperer (to get City Blessing is not a big problem in EDH and these two cards are great together). Creatures: Markov Blademaster , Falkenrath Marauders . Removal: Bedevil . Board wipe: Damnation . Hello! 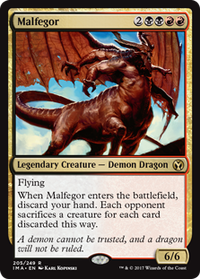 Try to find Rakdos, Lord of Riots - seems to be a nice addition to your deck. Mogis, God of Slaughter - just to deal more damage. You can replace Burglar Rat with something more useful - Tymaret, the Murder King for example. In this case you can make a combo like: Tymaret + Judith's ability + Dictate of Erebos . 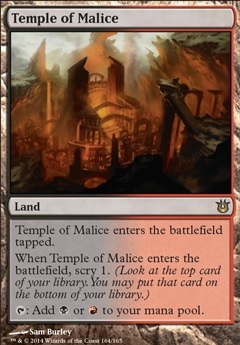 Temple of Malice - enters tapped but scry 1, much better than Rakdos Guildgate anyway. And don't forget about card advantage: Necropotence , Phyrexian Arena and /or Underworld Connections . First off, playing three colours with just basic lands seems risky, I realise your on a budget but Choked Estuary, Temple of Malice aren't overly pricy (see Land Staples for Modern for a list of all the options), even just Crumbling Necropolis or Evolving Wilds would be better as it will make your mana base more consistent. Given the shear number of creatures you are running Throne of the God-Pharaoh might well be worth considering. Also since much of what you want to cast is an artifact Chief Engineer and Etherium Sculptor are almost certainly worth considering. Maybe even a couple of Traxos, Scourge of Kroog as an alt-win. I hope this is of some help, good luck with your brew. I'd suggest possibly cutting all the tapped dual lands with no bonus effect or just gaining you one life. Now Lavaclaw Reaches and Canyon Slough, maybe even Temple of Malice, you'd likely still benefit more from just running more basics (greedy Price of Progress bonus) rather than risk having to play your mana rocks a turn later or having to wait an extra turn to get rakdos online. Now rakdos's mana cheaper effect rewards using burn spells as rituals, Gut Shot is the cheapest mana wise way to be able to cast rakdos, Lightning Bolt is just a straight up Dark Ritual, most of your card advantage is in chunks, always getting a 1-2 mana discount on something through a creature pinging is likely going to be less effective than getting a chunk of 3 from a bolt or getting a "free" Fireball down when you planned on casting a big creature. Final thought is looking towards using what makes black one of the stronger colors in commander, tutors Diabolic Tutor is the classic example of a cheap tutor for budget.